I've been finding quite a few lovely gift tag ideas around the internet, and I thought I would share some of my finds with you, dear readers! As you may know, I am a lover of photography, and I especially love old photos. Here's a beautiful idea for creating a photo gift tag. 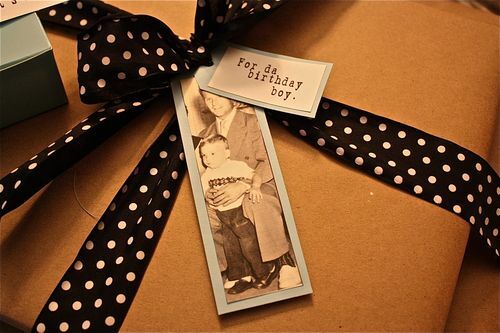 I love the combination with the brown paper and polka dot ribbon!